Really nice wallet. Has lots of room. 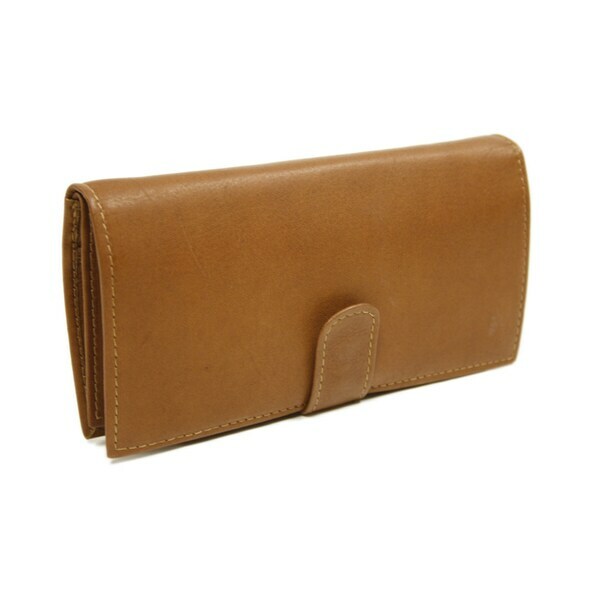 Available in tan, black and brown, this Piel Leather Multi-Card Wallet is the perfect bag for you. Stylish and practical, this leather bag features a multiple card organizer, interior zip-pocket, window ID pocket, and five open pockets. Take this bag with you on your next trip. Poor leather quality and the change compartment is inside and not very big. I would have returned but too much trouble. "I am looking for a long slim brown leather wallet..good quality, good price. Any suggestions?" "What is the size of this wallet?" The dimensions are approximately 7.25" x 4" inches.